Yamaha have marked the completion of their contest-winning Neo brass range of instruments by forming the Neo Brass Ensemble. The group, comprising nine top musicians selected from throughout Europe, is led by the acclaimed, long-standing Yamaha cornet artist Russell Gray. The Neo Brass Ensemble will make their debut at the Butlins Mineworkers Open National Brass Band Festival to be held in Skegness from January 16th–18th. The performance celebrates a major milestone for Yamaha as it becomes the only manufacturer able to fully equip a brass band by providing a complete range – at the highest level – of both brass and percussion instruments. 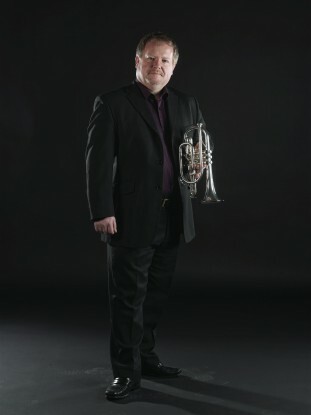 Russell Gray has provided valuable advice to Yamaha in developing the Neo Cornet, and many other Neo ensemble members have contributed to the design of the entire range. The group represents a truly international mix, with a passion to help develop the best possible brass instruments.